First off, I would like to say that I am sorry for being the worst blogger this week! I only posted twice this week and one of them was about how depressed I was! Sorry Followers! I am out of my funk and promise to get back into the swing of things!! 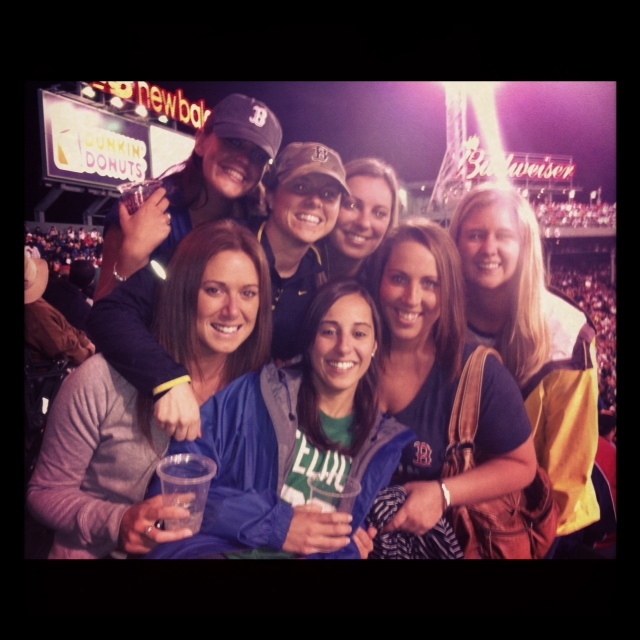 Last night I went to the Red Sox game with 7 of my best College girlfriends! I love going to baseball games, they're so much fun! Looks like you all had a great time! Love your choice of shorts and I'm really needing that necklace :) Found you through Friday's Fancies and I'm your newest follower.